Sonia is carrying the family's artisan traditions over to custom items, personally selecting the steps of the project. 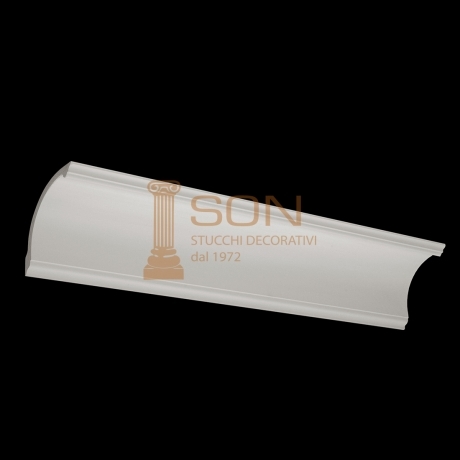 She custom designs all the usual plaster products, carrying over linear mouldings and producing such products as domes, niches, crossed vaults, tunnel vaults. She develops designs and projects starting from a simple sketch or outline of the piece to be created. She works up the various items starting from the customer's ideas or desires, or the technical requirements, seeking to achieve the best possible solution. She rebuilds and restores the models received from the customer, a step required to build the moulds. Sonia is flanked by the long-standing co-workers who, over the years, have gain incomparable expertise and professionalism.